It's 09:09 in Laurel, USA right now. St Vincent Pallotti High School A webcam in Laurel, Maryland - camera location: St Vincent Pallotti High School. Laurel, Maryland: Laurel High School, 0 miles away. College Park, Maryland: BackyardCam, 9 miles away. College Park, Maryland: University of Maryland College Park, 9 miles away. 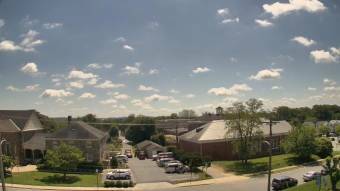 Silver Spring, Maryland: St Andrew Apostle School, 9.6 miles away. Sandy Spring, Maryland: Sherwood High School, 10.2 miles away. Arbutus, Maryland: City View, 13.4 miles away. Bethesda, Maryland: Bethesda Country Club, 15.8 miles away. Bethesda, Maryland: Congressional Country Club, 15.8 miles away.